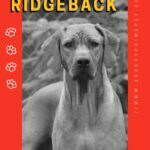 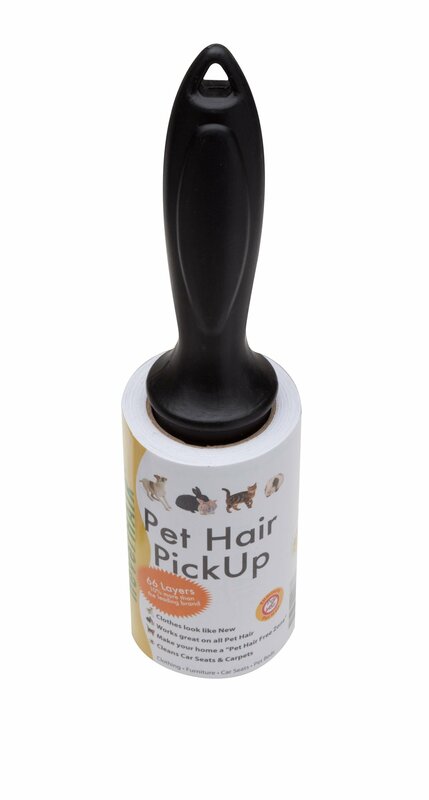 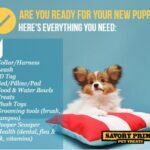 Our rollers grab tough to remove pet hair and are refillable. 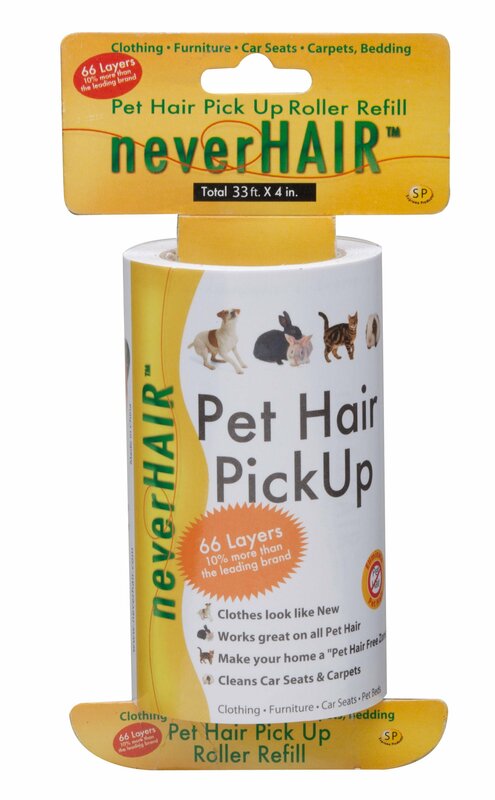 Neverhair™ easily removes hair from almost any surface. 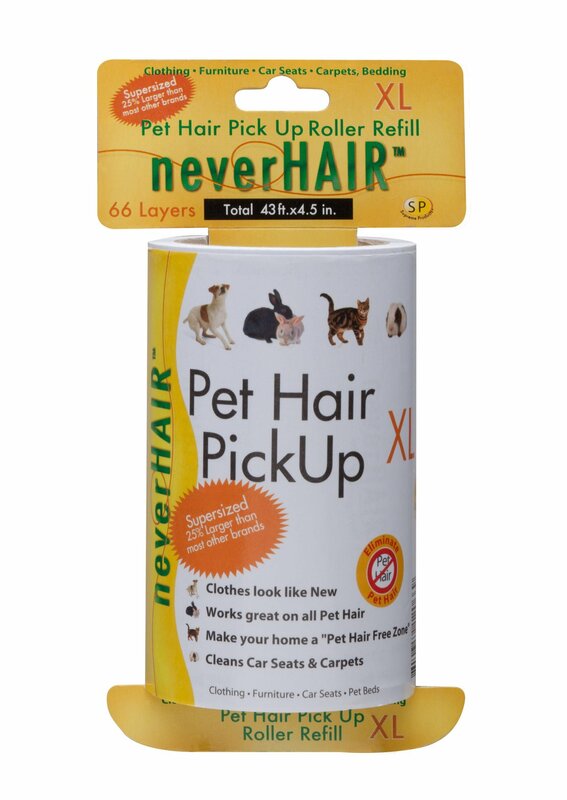 Great for all surfaces including clothing, furniture, upholstery, carpets & auto interiors. 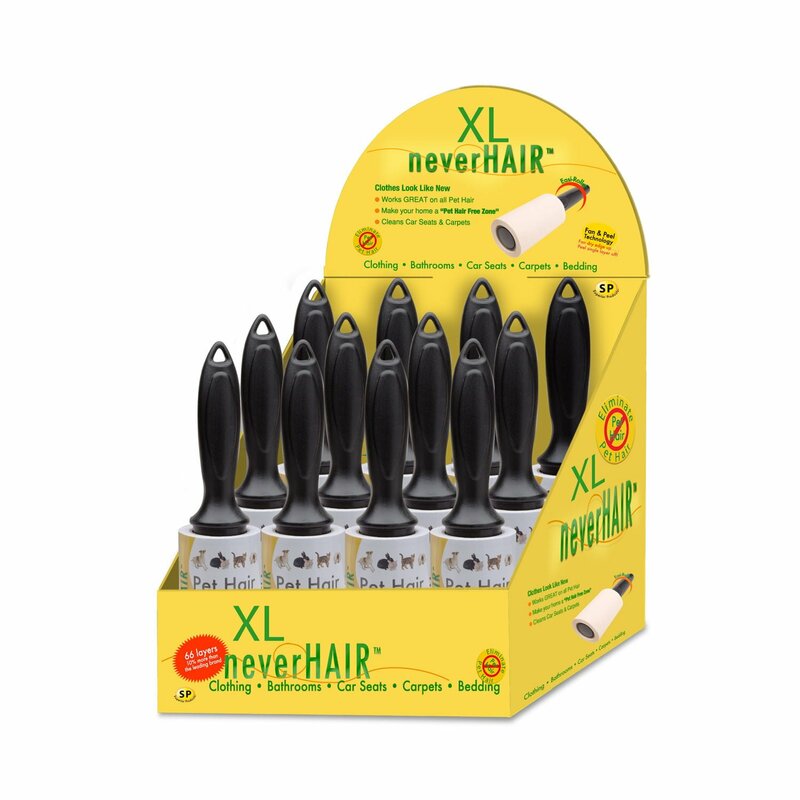 NeverHair XL Roller Display 12 ct.